This eBook details how new solutions offer new ways to bypass the traditional challenges that block the path to PLM value. Product Lifecycle Management (PLM), What is Product Data Management (PDM)? This eBook is of most value to Engineering Managers and IT Managers in companies considering the pursuit and adoption of a PLM solution. When you examine the product development process, you discover that problems are everywhere. You can certainly find them in engineering. There might be issues in testing and certification. There could be complicated processes and procedures related to platform planning. And there are often significant product development problems that arise outside of engineering. Procurement might need specific activities to share design data securely with suppliers. Operations might need to support a particular effort to gain sign-off from customers in the middle of development. Compliance might need to verify that regulatory requirements have been satisfied. Any of these issues, and many others, could be a critical issue that needs to be addressed as soon as possible. Product Lifecycle Management (PLM) systems have great promise as a way to address these issues. They offer powerful capabilities to author, manage and track product data. They provide functionality to automate and manage projects and processes. They deliver tools to share and collaborate with internal and external product development stakeholders. They present the means to analyze and report on a range of organizational metrics and product characteristics. However, realizing the value of the value of these capabilities is exceedingly difficult with traditional on-premise PLM systems. The total cost of ownership is high, and it requires large upfront costs, specialized hardware, and ongoing IT staff and maintenance fees. They often require that fundamentals—including data management, design release, and change management—be deployed first, and these may or may not be related to the problem the organization is trying to solve. Tailoring such systems to the specific processes often requires heavy planning and customization phases. Then, once up and running, such systems are frequently inflexible to change. 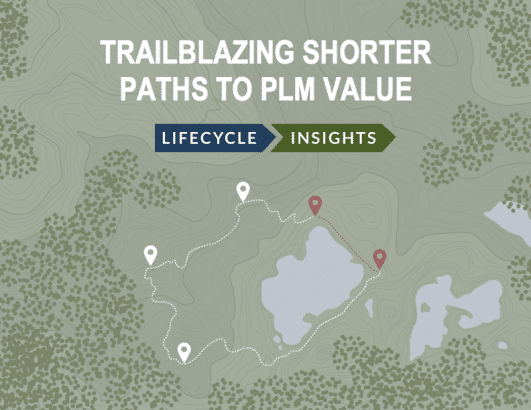 The path to value for traditional on-premise PLM systems is long, circuitous, and expensive. Product development leaders and executives are often scared off because it is so hard to realize its value.